now the most efficient and simple digital protocol available to dental practitioners for full arch restorations. “The Simple Way to a Lasting Smile” just got Simpler! Just how simple is it? Hybridge’s patent-pending breakthrough requires only one appointment after surgery, shortening the entire treatment process to just two weeks from implant placement to definitive prosthesis. Hybridge XD significantly reduces chair time and thereby increases case profitability and patient satisfaction. 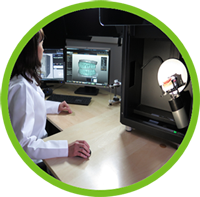 After the digital capture on the day of surgery, the state-of-the-art Hybridge Dental Laboratory utilizes an advanced proprietary process to deliver to your doctor a high quality, final full-arch restoration in time for insertion on the same day as your suture removal. A critical component of the XD process is the way in which the final Hybridge XD prosthesis is fabricated. Based on Hybridge’s proven Gen-4 prosthetic design, the XD’s core structural strength and durability promise long-term reliability for lasting results. 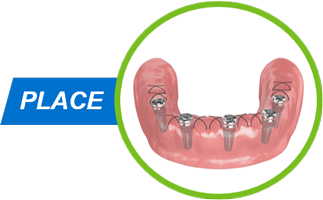 Hybridge XD balances the demands of durability, adjustability, lifelike esthetics, and the natural feel of the teeth — a true differentiator in full arch dental implant solutions. 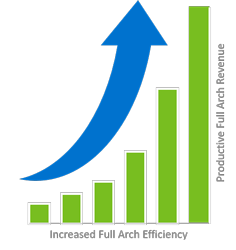 Patients no longer have to sacrifice quality, fit, or reliability to enjoy the benefits of getting a final full arch in as little as 2 weeks. With these benefits in mind, your Hybridge XD Certified doctor can eliminate multiple appointments and 2-4 months of treatment time for your case. This results in far fewer appointments with your doctor, and who wouldn't like to spend less time at the dentist! With this newfound efficiency, your doctor is not only able to shorten your treatment time, but they are able to pass additional savings on to you, and who doesn't like to save money! 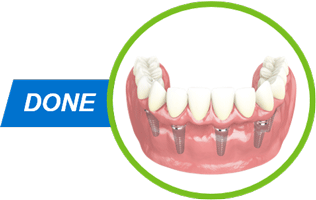 The all new Hybridge XD protocol provides your doctor with advantages in speed, quality, and economics making this full arch dental implant solution a win win for both doctor and patient. Find out if Hybridge Dental Implants are right for you. 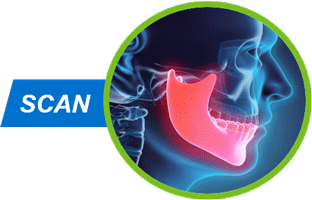 Visit our Locator Map to find the closest Hybridge Certified Dental Implant Doctor near you. Fill out the simple contact form or give them a call to make an appointment for a thorough Hybridge diagnostic screening. As part of your evaluation, we will develop a customized treatment plan to outline which Hybridge option is best for you.